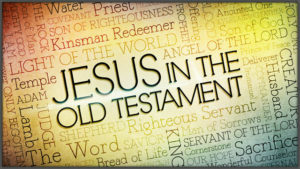 “These are the Scriptures that testify about me,” Jesus said in Jn.5:39. Jesus taught that there were references to himself in the Old Testament. 8th May 2016. Christ in the Old Testament - The Body of Christ Prefigured. 15th May 2016. Boaz - Kinsman Redeemer. 22nd May 2016. Moses - Bringing the People of God into His Rest. 12th June 2016. King David as a Foreshadow of Christ. 3rd July 2016. How the story of Queen Esther points to Jesus. 10th July 2016. Sonship & Discipline - How Jacob's life reflects God's desire to transform us into the image of His Son. Isaiah: Jesus, God's answer to Humanity's Problem. 24th July 2016. Isaiah: Go's Answer to Humanity's Problem. Download: Isaiah: Jesus, God's answer to Humanity's Problem. 31st July 2014. Pointing to Jesus - The Book of Malachi.